List of characters and names, mentioned in the Quran. Standard form: Islamic name / Bibilical name (title or relationship). This list makes use of ISO 233 for the Romanization of Arabic words. ^ 44:54; 52:20; 55:72; 56:22. ^ Plural: ḥumur (Arabic: حُـمُـر‎). ^ Pronounced "Ambiyā’," due to Nūn (Arabic: ن‎) preceding Ba (Arabic: ب‎). It is also written as Nabiyyīn (Arabic: نَـبِـيِّـيْـن‎) and Nabiyyūn (Arabic: نَـبِـيُّـوْن‎). ^ Also Mursalīn (Arabic: مُـرْسَـلِـيْـن‎) or Mursalūn (Arabic: مُـرْسَـلُـوْن‎). ^ 4:163; 6:84; 21:83; 38:41. ^ 7:73 – 79; 11:61 – 68; 26:141 – 158; 54:23 – 31; 89:6 – 13; 91:11 – 15. ^ 4:163; 6:86; 10:98; 37:139. ^ 3:144; 33:09; 47:02; 48:22. ^ Tabi‘īn (Arabic: تَـابِـعِـيـن‎) or Tabi‘ūn (Arabic: تَـابِـعُـون‎). ^ Treating all humans as his relatives. ^ 9:114; 43:26; 19:41 – 42. ^ 28:6 – 38; 29:39; 40:24 – 36. ^ 28:76 – 79; 29:39; 40:24. ^ 2:61; 10:87; 12:21 – 99; 43:51. ^ Singular: fākihah (Arabic: فَـاكِـهَـة‎). ^ Singular: thamarah (Arabic: ثَـمَـرَة‎). ^ PluralA‘nāb (Arabic: أَعْـنَـاب‎): 2:266. ^ Singular: shajarah (Arabic: شَـجَـرَة‎). ^ Singular: Kawkab (Arabic: كَـوْكَـب‎. ^ Singular: Najm (Arabic: الـنَّـجْـم‎). ^ Al-Āṣāl (Arabic: ٱلْأٓصَـال‎, lit. 'the Afternoons') (7:205–206). ^ a b Webster, Richard (2009). Encyclopedia of angels (1st ed.). Woodbury, he will blow the trumpet when the day comes to the end Minn.: Llewellyn Publications. p. 97. ISBN 9780738714622. ^ a b "Israfil". Encyclopaedia. Britannica. Retrieved 2012-11-20. ^ Asad, M. (2003). "Al-Waqiah". The Message of The Qur'an. Note 15. ^ al-Tabari, Muhammad ibn Jarir (Translated by William Brinner) (1987). The History of al-Tabari Vol. 2: Prophets and Patriarchs. SUNY. p. 150. ^ A. Guthrie and E. F. F. Bishop., The Paraclete, Almunhamanna and Ahmad. Muslim World XLI (October, 1951), p.254-255. ^ a b Parrinder, Geoffrey (1965). Jesus in the Quran. London: Oxford Oneworld Publications. ISBN 978-1-8516-8999-6. ^ Schumann, Olaf H. (2002). Jesus the Messiah in Muslim Thought. Delhi: ISPCK/HIM. p. 13. ISBN 978-8172145224. ^ Little, John T. (3 April 2007). "AL-INSĀN AL-KĀMIL: THE PERFECT MAN ACCORDING TO IBN AL-'ARAB?". The Muslim World. 77 (1): 43–54. doi:10.1111/j.1478-1913.1987.tb02785.x. Ibn al-'Arabi uses no less than twenty-two different terms to describe the various aspects under which this single Logos may be viewed. ^ a b McDowell, Jim, Josh; Walker, Jim (2002). Understanding Islam and Christianity: Beliefs That Separate Us and How to Talk About Them. Eugene, Oregon: Harvest House Publishers. ISBN 9780736949910. ^ Good, Deirdre Joy (2005). Mariam, the Magdalen, and the Mother. Indiana University Press. pp. 183–184. ISBN 978-0253345332. ^ Leaman, Oliver, The Quran, An Encyclopedia, 2006, p.638. ^ Williams, J. (1993–2011). "The Book Of Jubilees". Wesley Center Online. Retrieved 2018-02-18. ^ Vajda, G.; Wensick, A. J. Binyamin. I. Encyclopaedia of Islam. ^ al-Tabari, Muhammad ibn Jarir (Translated by William Brinner) (1987). The History of al-Tabari Vol. 2: Prophets and Patriarchs. SUNY. p. 153. ^ "Quran Tafsir Ibn Kathir". Qtafsir.com. Retrieved 2018-02-17. ^ Imani, A. A. A-H. S. K. F.; Sadr-Ameli, S. A. (2014-10-07). An Enlightening Commentary Into the Light of the Holy Qur'an: From Surah Yunus (10) to Surah Yusuf (12). 7. Lulu Press Inc. p. 35. ISBN 9781312523258. ^ Bruijn (2013). "Yūsuf and Zulayk̲h̲ā". Encyclopedia of Islam; Second Edition: 1. ^ Ibn Hisham note 97. Translated by Guillaume, A. (1955). The Life of Muhammad p. 707. Oxford: Oxford University Press. ^ Ayoub, Mahmoud M. (2013-05-21). The Qur'an and Its Interpreters: Volume 2: Surah 3. Islamic Book Trust. p. 93. ISBN 978-967-5062-91-9. ^ Brannon M. Wheeler (2002). Prophets in the Quran: An Introduction to the Quran and Muslim Exegesis. Continuum International Publishing Group. p. 166. ISBN 978-0-8264-4956-6. ^ Robert D. Burrowes (2010). Historical Dictionary of Yemen. Rowman & Littlefield. pp. 234–319. ISBN 978-0810855281. ^ Ibn Kathir (2013-01-01). Dr Mohammad Hilmi Al-Ahmad, ed. Stories of the Prophets: [قصص الأنبياء [انكليزي. 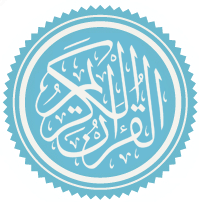 Dar Al Kotob Al Ilmiyah (Arabic: دار الـكـتـب الـعـلـمـيـة‎). ISBN 978-2745151360. ^ Elhadary, Osman (2016-02-08). "11, 15". Moses in the Holy Scriptures of Judaism, Christianity and Islam: A Call for Peace. BookBaby. ISBN 978-1483563039. ^ "Meaning, Origin and History of the Name Tahmid". Behind the Name. Retrieved 2015-07-10. ^ Wehr, H.; Cowan, J. M. (1979). A Dictionary of Modern Written Arabic (PDF) (4th ed.). Spoken Language Services. ^ Al-Shahrastani (1984). Kitab al–Milal wa al-Nihal. London: Kegan Paul. pp. 139–140. ^ 2:87, 2:253, 3:46(2), 3:48, 3:52, 3:55(4), 4:157(3), 4.159(3), 5:110(11), 5:46(3), 5:75(2), 19:21, 19:22(2), 19:27(2), 19:29, 23:50, 43:58(2), 43:59(3), 43:63, 57:27(2), 61:6. ^ 3:49(6), 3:50, 3:52, 5:116(3), 5:72, 5:116(3), 19:19, 19:30(3), 19:31(4), 19:32(2), 19:33(4), 19:33, 43:61, 43:63(2), 61:6(2), 61:14.